Regardless of whether you run a well-established business, are a 9 to 5 corporate ladder climber, or are a side-hustle-preneur, your personal brand is an important factor directly connected to your success. Having a personal brand is the best way to influence and gain the trust of others, especially within your industry. A trusted reputation can be a key to doors of opportunity. 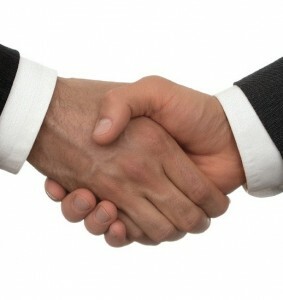 People are more likely to recommend you and promote you, when you’re trusted. I’ve worked with a variety of business leaders in developing their public images. I teach my clients that the most critical factor in illuminating your talents, expertise, and personality is by crafting a digital footprint and reputation to match your knowledge-base. When you do not take the time to purposefully craft your reputation, one is created for you. False perceptions can cost you to lose the promotion that you have been waiting on, miss out on an invitation to the golf club, or even miss connecting with a new customer. It is equally harmful to not be strategic when developing your brand. Your influencers and audience should clearly understand who you are and what your industry opinions are. The most efficient way to get recognition as a thought leader is by creating content that captures the attention of your audience. If your aim is to build credibility in your industry, this is the place where you need to start. For instance, if your chosen platform is your website, starting a blog is the best way to start this connection. Think of creative ways to develop content, such as have guest bloggers and articles written from outside sources. If you have a staff or team that you work with, consider having each of them author a scheduled blog post. This will showcase the expertise of your business and/or staff. Get active on LinkedIn now! It provides access to individuals solely based on their professional network. Here, business owners are able to provide information about their products, services, job openings, and content to a pool of potential stakeholders. Use the social site to add social proof to your expertise. Connect to others on the site that you have done business with to gain recommendations. These testimonials solidify your reputation of an industry expert and persuade prospective clients into have greater confidence in your brand! Brush up on your public speaking skills and plan to take the stage. Content marketing and social media are awesome in garnering recognition. However, giving group talks, leading masterminds, and presenting at conferences are the ultimate credibility boosters. Conferences select speakers based on their knowledge which you have displayed in blogging and according to your interest which you have clearly communicated on LinkedIn. 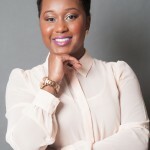 Jamillah Rahmaad is a seasoned public relations professional based in Atlanta, GA. Thorough her company JR|PR, she builds and executes strategies for entrepreneurs and business owners to develop authentic relationships with the public, their communities, and with new audiences. Learn more about her at BefriendYourBrand.com. Connect with her on social media at @Jai_Soapbox.